Salou is six miles west of Costa Dorada’s largest town Tarragona, Salou is the ideal choice for families considering Spain holidays. Salou enjoys over three hundred days of sunshine per year and is perfect for relaxing beach holidays thanks to it’s rocky coves and shallow, blue waters making it particularly suited to families with smaller children. A richly cultural area, Salou also boasts some of the most vibrant nightlife on the Costa Dorada, with many pubs, bars and clubs all within easy reach of the hundreds of holiday apartments and hotels in Costa Dorada. Reachable in just over two hours from most UK airports, the short flights, golden beaches and blue Mediterranean waters and the welcoming, inviting climate make Salou a popular choice for Costa Dorada holidays. Whether you’re looking for relaxing days by the beach, buzzing nightlife and great dining or something a little more active, Salou has it all! Despite the number of sunny days that Salou basks in year round, the temperatures are not as intense as other destinations such as the Costa Blanca, with temperatures routinely ranging from between 20° Celsius and 26° Celsius from May until late August. The cooling breeze from the Mediterranean takes the edge off the worst of the humidity – perfect for working on that tan! Close by to the area’s most popular attraction, Port Aventura, Salou offers a mixture of the cultural and the contemporary, the exciting and the relaxing. The area offers some of the best watersports activities on the southern coast, with windsurfing, and banana boating proving popular with both children and adults. The area also offers more cultural attractions such as the Torre Vella watchtower museum and Salou’s Central park offering a chance to enjoy the rich, historical atmosphere at your own pace. Salou enjoys a rich cultural atmosphere, and the many markets that take place in the summer offer a glimpse at more traditional Spanish life, with the Salou Monday street market and the Masai Catalana artisan’s market proving especially popular with locals and tourists alike. Salou is one of the liveliest nightspots on the Costa Dorada, with a wide variety of bars, pubs and nightclubs to dance the night away. The flavour of the nightlife is equally diverse, with some pubs catering especially to British tourists (such as the popular Rovers Return pub), whilst others offer a decidedly more Mediterranean vibe. Don’t forget that many of the hotels in Salou offer their own special blend of evening entertainment. Whatever gets your foot tapping, you’ll find it in Salou. Book your Salou Holiday now! 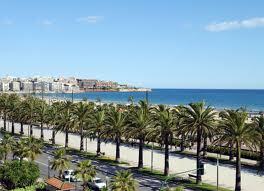 Salou offers the ideal blend of excitement and culture for anyone considering Costa Dorada holidays. Whether it’s relaxing, historical Mediterranean charm or energetic nightlife, Salou is a good destination and hard to beat!